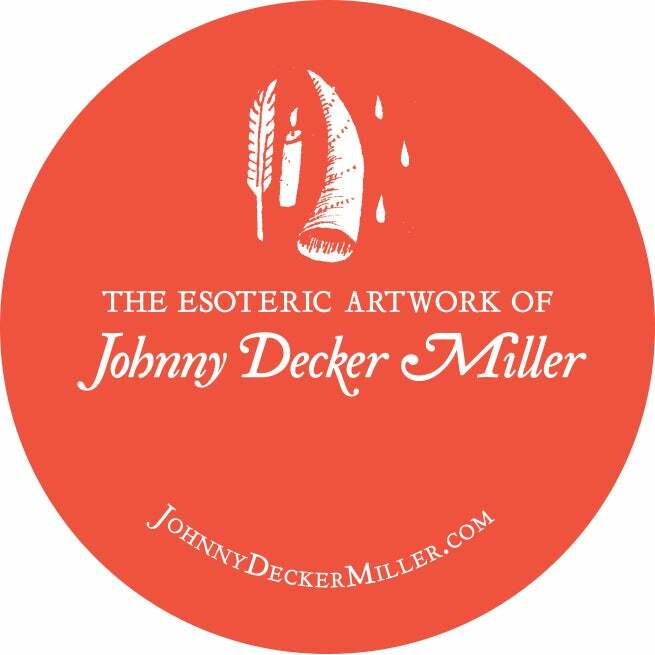 Residing in Chicago with his wife and two children, Johnny Decker Miller is a writer, illustrator, and painter who draws inspiration for his work from folklore, comparative religion, magic and witchcraft; subjects which have fascinated him since childhood. He has written for premier occult publications such as the peer-reviewed journal WYRD from Three Hands Press and the anthology PILLARS: The Scalding of Sapientia from Anathema Publishing. As a visual artist, his work has appeared in CLAVIS Journal and the recent book WITCH-IKON: Witchcraft in Art and Artifact; he has exhibited widely, creating public artworks for major events like the music festival Lollapalooza and contributing to the set design of television shows such as The Exorcist.